Looking for a fun activity to do with the kids?? My girls have had a fetish lately with getting into my jewelry and breaking them (not like I wear much these days anyway), so I decided to have a little jewelry-making session with them. 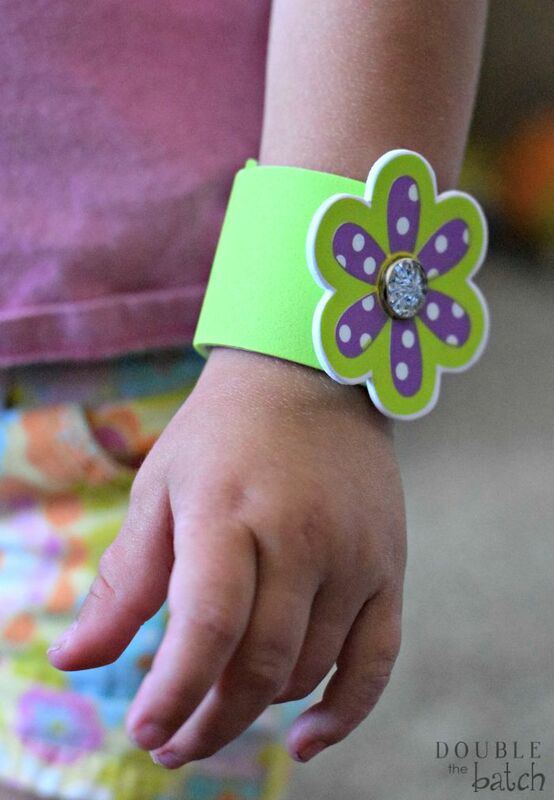 This is a fairly easy, quick activity and the girls loved it. 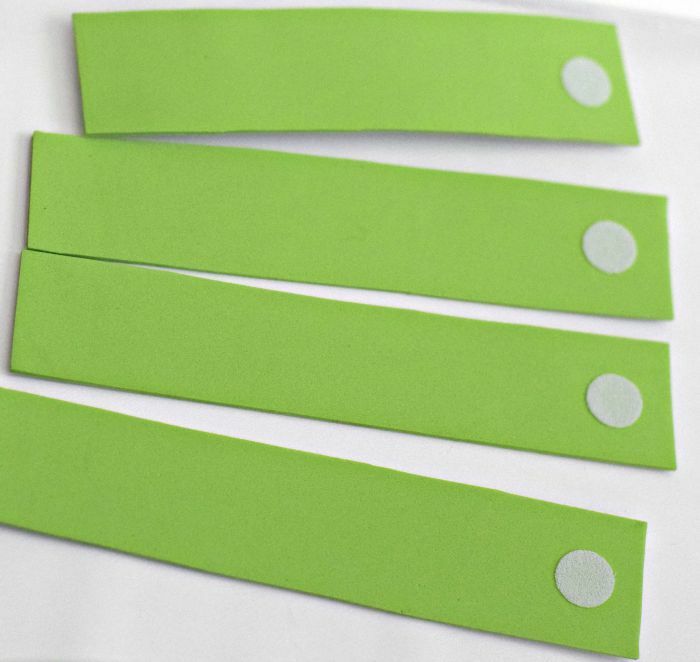 Step 1: Cut your foam sheets into strips that will fit the wrist of your child. 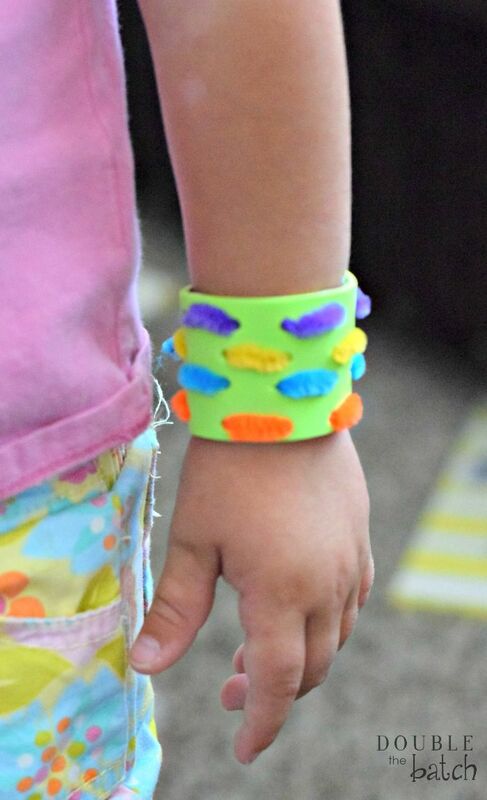 Apply velcro dots to opposite ends of the bracelets, so that it will velcro together. The velcro is self-adhesive, but you may want to use some good glue for extra strength. 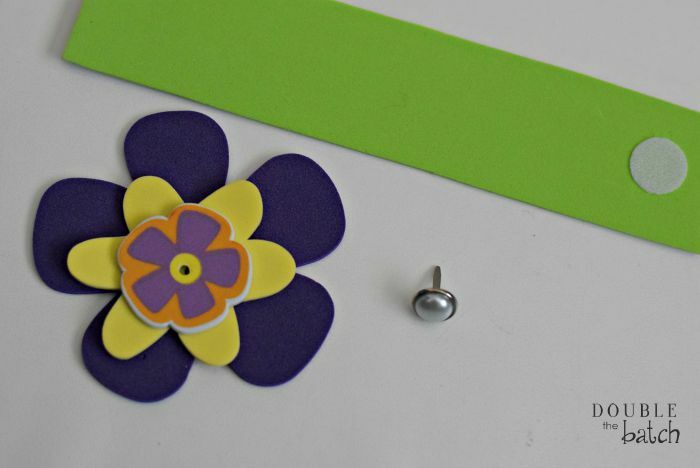 Step 2: Pick out some foam flowers, or a fun foam shape to go in the center of the bracelet. I attached ours with some fancy brads. Step 3: Wear them! Ta da! So fun. So easy. Side Note: This is not just a project for girls! There are so many fun foam shapes out there, that you can really make them appeal to any and all! 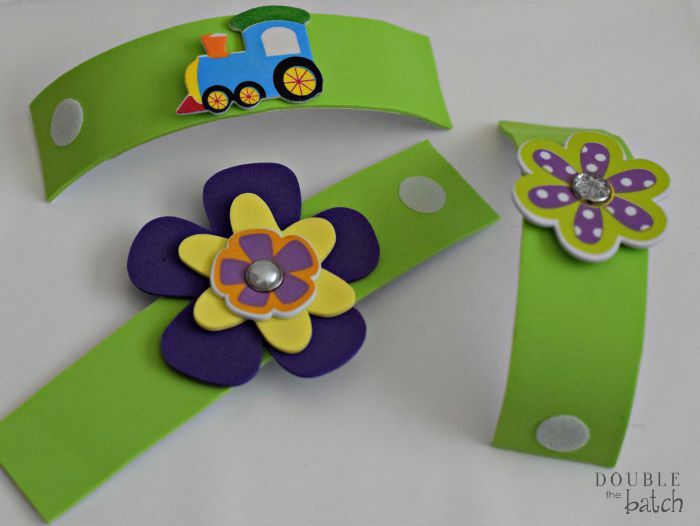 This one is great simply for getting toddlers some good practice using their fine motor skills. 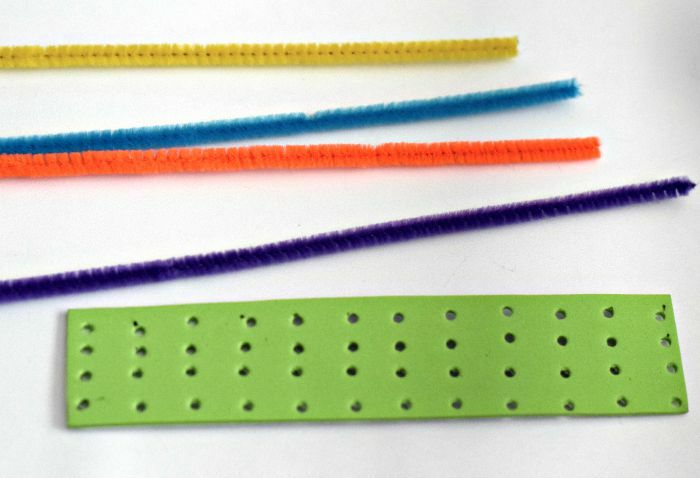 Punch some holes in your foam strip, and help them weave the pipe cleaners in and out of the holes for a fun effect! You could also veto the whole bracelet idea and simply make this into a Pipe Cleaner Weaving busy bag. Genius, right?